Chandraghanta Devi (sometimes spelled Chandrakanta) is the form of Maa that grants eternal strength to Her devotee. As ‘Chandra’ is the name for the moon, She is named Chandraghanta because of the bell-shaped mark of a crescent moon on Her head. 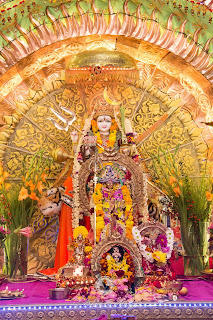 This form of Maa possesses ten arms holding many weapons and She sits on top of a lion. The celebrations for Chandraghanta Devi felt more like a family gathering, rather than a public event. The third night had the underlying theme of “Vasudhaiva Kutumbakam” – the whole world as one family. 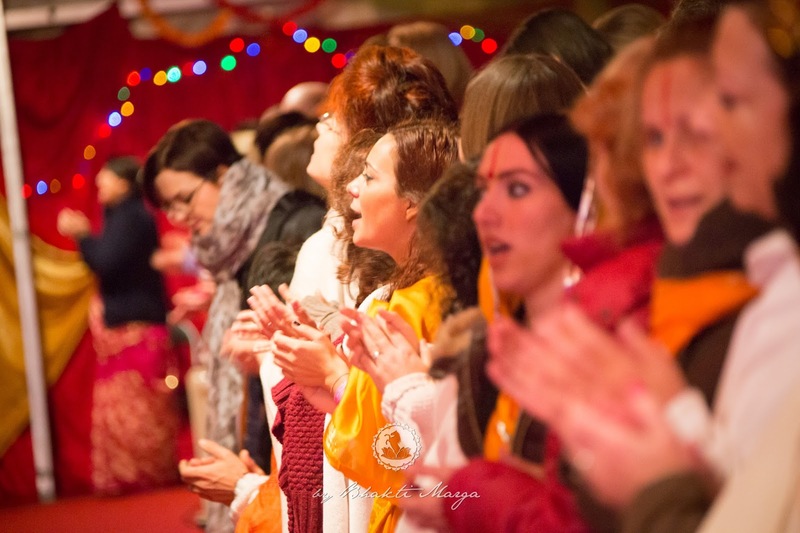 According to the structure of these ceremonies, the night included the puja, yagna, Devi Mahatmya narration, and as always, a lot of singing and dancing! 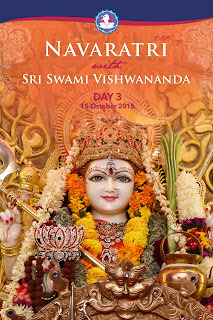 Though once the final prayers had finished and all had received their blessing and darshan from Chandraghanta Devi, the amrit of the night was yet to emerge. As the night came to an end, Sri Swami Vishwananda asked that each Swami and Swamini give a small improvised speech. 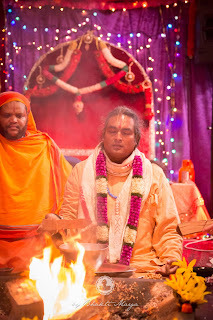 The newly-appointed Swami’s/Swamini’s expressed their gratitude to Sri Swami Vishwananda, and some shared their personal surprise that Swamiji wanted to initiate them into Swamihood at all! It was said several times that they were grateful to have a Satguru who has all the qualities of the mother and who can be a most affectionate one, and yet, still discipline when the need arises. It was the love and experiences that the Swami’s and Swamini’s shared for Sri Swami Vishwananda that united all who attended -- even the distant family watching via livestream. (The) Swamis are my representatives, of Mahavatar Babaji, of (the) Sri Sampradaya - Sri Ramanuja Acharya - in their respective countries. 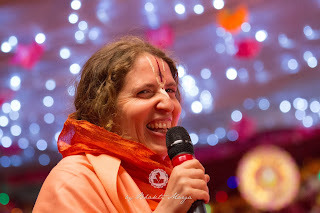 Devotees have to respect them but, even before that, they should give the respect; we can't expect to be respected or loved without giving the respect, and loving others. 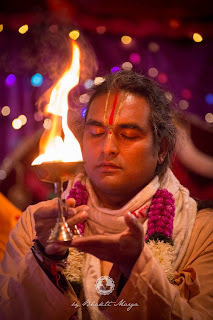 All the Masters and all the holy scriptures say that one should not have expectations, “Don't let your left hand know what your right hand is doing.” When there are no expectations, you are free, and what flows through you is only the Grace and the Love, only the blessing, and this is not only for Swamis, but for all on the path towards God Consciousness, on the path towards Narayan. Keep reminding yourself to be humble. 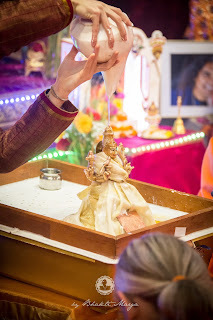 Like Krishna in the Bhagavad Gita reminded Arjuna of his duty, the Guru reminds the devotees also of their duty in life, because life is a learning process. It's very rare to receive the Grace to be under the guidance of a Satguru, so you have to follow and transform yourself. 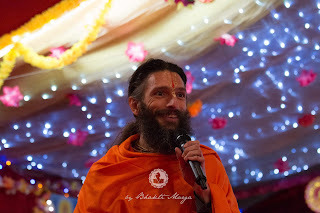 When you give your effort, whatever the Master blesses, it will become active, it will be manifested.